In the days since the finale aired, I’ve been struck by how easily everything about the seven seasons can get collapsed into a narrative of how we get to the iconic Coca-Cola ad. Between the days before and the days after the episode aired, I’ve lost track of how many essays came across the Twitter transom that explained how we could predict the ending from the pilot episode, or breadcrumbs in the first season, or something of the sort. This is not to discount that the show may have been developed with an eye towards where it would end from its very inception, but the sight of Don Draper om-ing high atop a California cliff and perhaps one of the most famous advertisements in television history seemed to project a web over every plot point in the series. On that Sunday morning, the conclusion of the series offered numerous paths and opportunities, but they all collapsed as soon as the episode aired. In other words, my future viewing of the series suffers from a problem of teleology. Where before Mad Men told the story of a group of people working for a Madison Avenue advertising agency in the 1960s, now it seems on one level to be the story of how Coke taught the world to sing. Of course, Mad Men is not unique in this regard. In fact, it seems to be a problem endemic to television as a medium. We know who shot J.R. (and Mr. Burns), which characters on ER or Grey’s Anatomy survived which season finale cliffhanger, and whether President Bartlet ran for re-election after revealing his MS diagnosis. We know whether Ross and Rachel ended up together. It’s hard to un-know these things as you watch and re-watch the shows. In other words, the teleology of the narrative conclusion exerts a gravitational pull on everything that came before it. For historians, and especially for history teachers, this problem is a familiar one that we encounter all the time. In the US history survey, the wars in particular exert force on the history around them. In the middle of the semester, it seems inevitable that the Stamp Act is the opening act of the American Revolution, and by semester’s end it’s obvious that divisions over the institution of slavery would lead to bloodshed between North and South. It’s a narrative that makes sense when you look at the end point, which makes it hard to resist for both students and faculty. I’ve even been caught in the trap myself. The first time I taught the survey at my current institution I asked a question about the Civil War on the final exam, and one student opened his/her essay with the following thesis: “The Civil War was not inevitable, but bound to happen.” I found it hilarious until I realized something bone-chilling: that’s how I taught the antebellum era. I was careful to explain that we couldn’t draw a straight line from the Missouri Compromise, through the nullification crisis, the Mexican War, and the Compromise of 1850 to Dred Scott, the raid on Harper’s Ferry, and finally the shots on Fort Sumter. But in so doing I had inadvertently created a narrative that led through each of those events to get to the Civil War. So, lest this post end up as just clickbait for the early American history crowd, let me consider a few lessons that Don Draper and his associates can offer us as historians and teacher. The key, I think, is to consider history as one would a subsequent viewing of a TV show, which is more comparable to studying history because we do (usually) know how things turned out (at least for the pre-1877 period). First, it’s a chance to enjoy the richness and complexity of history. When first introduced to a topic (or TV show), we often strive to create a coherent narrative, and it’s easy to fall into a simplified version that emphasizes the role of particular individuals. On a return visit, however, one often notices or enjoys other details and nuances that may not have jumped readily to the surface. We may notice dialogue that had simply flowed by before, better understand the set-up for jokes, examine characters who offer meaning without appearing extensively, even down to the level of individual stage directions or props. I know for me that each time I revisit a favorite TV show or movie I see something a little differently and that re-shapes the process of how I understand the whole. Just on the level of cultural experience it’s a way to connect with students–what we do with history is the same process, and it’s important to be open to that re-assessment even of issues and events that are deeply familiar. Second, one doesn’t need to forget the ending to enjoy the contingency of the moment. The twists and turns of a popular TV show, like those of the past, are often still exciting even if you know how it turns out. 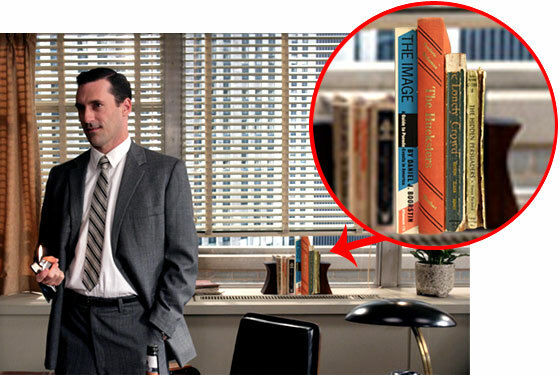 The sale of Sterling Cooper & Partners to McCann Erickson earlier in Season 7 (or in Season 2 to Putnam Powell & Lowe) still creates suspense even though (in fact, in part because) we know what it will mean for the characters. In no small measure that’s because good storytelling, whether in fiction or history, brings us into the world of the characters themselves, and wherever you are in the series, they don’t know what will come next. Just ask Benjamin Franklin in 1765 what government position he thought he’d hold in 1776; his answer couldn’t even conceive of a United States even if he’d wanted to. Teaching the concept of teleology (and its partner, contingency) is difficult, especially in the introductory courses. But it’s important to introduce as we help students to understand how to be open to new interpretations. And if Don Draper (or Tyrion Lannister, or whatever the kids are watching these days) can help us do that, so much the better. NB: The post title is best read in song. I’m not a scholar of television, popular culture, or the twentieth century. Please be gentle on this point if I’m completely in the wrong. Excellent piece. Thanks. Of course, once we’d read the ending we knew exactly where you were going all along. . .
I’m definitely using this article in class. Perhaps you can be a guest speaker afterwards? Excellent post! I think you have touched on a very important teaching tool!